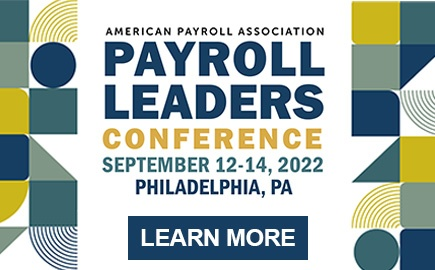 What is the American Payroll Association (APA)? Established in 1982, the American Payroll Association (APA) is the nation's leader in payroll education, publications, and training. As a non-profit association with more than 20,000 members, the APA conducts nearly 300 payroll training seminars and conferences across the country and online each year, and publishes a complete library of printed and electronic resource texts and newsletters. Every year, more than 18,000 professionals attend APA training sessions. The APA is also highly respected as the industry's collective voice in Washington, D.C. and state capitals on payroll-related regulations and legislation. Who is eligible for membership in the American Payroll Association? APA membership is open to anyone engaged in payroll administration and/or related fields. APA proudly represents a true cross section of the payroll profession made up predominantly of payroll managers from all 50 states, with a growing constituency in Puerto Rico, Canada, and other foreign nations, whose payroll informational needs are as diverse as the number of employees paid and as demanding as the number of states and countries in which they pay. 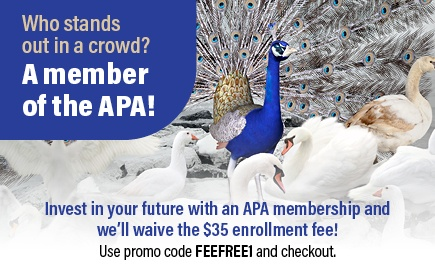 How many members are in the APA? The APA currently has over 20,000 members. How much does it cost to join the American Payroll Association? Annual dues are $254 with a $35 enrollment fee charged to new members. Memberships that are inactive over 90 days are also charged the $35 enrollment fee when rejoining. Do I receive Recertification Credit Hours (RCHs) with my membership? All APA members are granted three Recertification Credit Hours (RCHs) per completed membership year for being a member in good standing. How do I contact the APA? APA Customer Service is open every weekday from 8 a.m. CT – 6 p.m. CT. You can reach us by phone at (210) 224-6406 or email us. Where is the APA located? The APA headquarters is located at 660 North Main Avenue, Suite 100, San Antonio, TX 78205. How do I access my Payroll Currently? 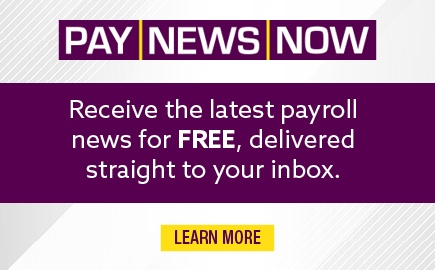 APA's members can access their monthly newsletter covering payroll compliance news and issues and Inside Washington by visiting their APA Bookshelf. You will need to log in using your APA ID or User Name and Password to read, print, or download the newsletter. I have a specific payroll question I need assistance with, who can I ask? As an APA member you may submit your question through the Hotline Referral Service or the ListServ. The Hotline Referral Service allows you to submit a question online or via phone and have an APA Member Volunteer, who is an expert on that category, respond to your inquiry. The ListServ allows you to submit your question and have it answered by other registered ListServ Members. To find out more information, please visit the Member Benefits page. What percentage of APA's membership dues goes to lobbying? APA has elected to pay a proxy tax on the total amount of its lobbying expenditures. Accordingly, you may deduct 100% of your membership dues as an ordinary business expense. Can a Membership be transferred to another employee? In most cases, yes. Please contact Customer Service at (210) 224-6406 for assistance. How can I make edits to my user profile? If you need to update your profile, log in with your APA ID or User Name and password. Click on your name at the top of the page, which will take you to your "My Account" page where you can update the necessary fields. Be sure to click Submit at the bottom of the page when finished. To update your email address, first name, last name, or middle initial, please email [email protected] for assistance. For security purposes, you cannot make changes to those record fields online. Can I retrieve my password if I've forgotten it? Yes. To reset your password, click Login at the top navigation bar, then click Forgot APA ID or Password? beneath the Log In button. Follow the prompts to reset your password. First, log in with your APA ID or User Name and password. Once logged in, click on your name at the top of the page to be taken to your "My Account" page. Under your Personal Information, next to Your User Name or APA ID is a link that says Change Password?. Select the link and follow the prompts to change your password. My account has been locked, why? You have exceeded the number of allowed login attempts. Your account has been locked for your safety. Call APA Customer Service at (210) 224-6406 for assistance. What is the APA Bookshelf? The APA's Bookshelf is APA's online payroll and compliance and research-ready library. Here you will find many of APA's professional compliance publications, either in collections or as standalone products. What are the System Requirements for the APA Bookshelf? Minimum system requirements can be found here. I received an error message saying, "Your access control for: bookshelf.americanpayroll.org has expired." What do I do? You may need to adjust your cookie settings on your internet browser so you can use APA's bookshelf. You must add an exception to your browser to accept all cookies from bookshelf.americanpayroll.org and secure.agilepdf.com. Cookies are used only for session management and access control. For information on how to adjust your cookie settings, please visit the system requirements information page. I received an error message saying, "You have exceeded the maximum number of user sessions allowed under your license." What does that mean? You may have received this message because you failed to "log out" of your session before switching to a different web browser or device. This message can occur when your account is used on multiple devices or browsers at the same time, or in rapid succession. If this happens, please wait 30 minutes and log in again. The problem should have resolved itself since sessions expire after 30 minutes of inactivity. Please note that closing your browser does not log you out of your session. I need help navigating or printing from My Bookshelf. Please visit the How to Use Our Ebooks guide found at the bottom of the page of the APA Bookshelf, for detailed information on navigating and printing. If you need further assistance, please contact Customer Service at (210) 224-6406. Can I view upcoming APA courses? Yes. Under Education & Certification in the top navigation bar, click Schedule under Education to see a chronological list of APA courses. This will take you to the Product Finder page. You can sort the listing by Start Date, Course Name, Price, City, or Best Match as well as filter the results by delivery method and/or topic. You can also search for a specific course by typing it in the search field. How can I view the APA's list of publications? Under Compliance in the top navigation bar, select View All under Books & Products. This will take you to the Product Finder page. You can filter the results by topics or search for a specific publication by typing it in the search field. My company requires a copy of the APA's W-9 before payment can be issued. How can I get a copy? How can I view past purchases? To view your order history, log in with your APA ID or User Name and password. Once logged in, click on your name at the top of the page to be taken to your "My Account" page. Select the View My Orders button to see your order history. The order numbers link to your order confirmation, which has the details of the product purchased. How can I get a copy of a receipt for a purchase I made? You can send a copy of the Order Confirmation to yourself, which may be used as a receipt. It includes a listing of products purchased and payment information for the order. To do so, login using your APA ID or User Name and password. Once logged in, click on your name at the top of the page to be taken to your "My Account" page. Select the View My Orders button. Find the order you need a receipt for and click on the order number link. At the top of the Order Confirmation page, ensure the email address is correct and press the send button. How can I pay a balance on an order? To pay an outstanding balance on an order, login to the website using your APA ID or User Name. Once logged in, click on your name at the top of the page to be taken to your "My Account" page. Select the View My Orders button. Under Your Order History click the link where it says, "To pay an outstanding balance on an order, click here." Select the order you'd like to make a payment on and follow the prompts. How do I access the Webinar I purchased? You will receive event and login information via email from [email protected] 24 hours before the event start time. Please add this email address to your safe list to ensure future deliverability. If you do not receive the email, it is possible it was filtered into your spam or junk mail filter or blocked by your server. Please contact Customer Service at (210) 224-6406 for assistance. You will receive another email 15 minutes before the event notifying you the event is "now open." If you attempt to login more than 15 minutes before, you will receive a message that the event is closed. Please wait and try again closer to the event start time. Make sure your computer is ready for the webcast. Run this system check to determine if your system is configured properly for viewing presentations. For more information about system requirements please review these computer tips. How do I access the Webinar on Demand I purchased? 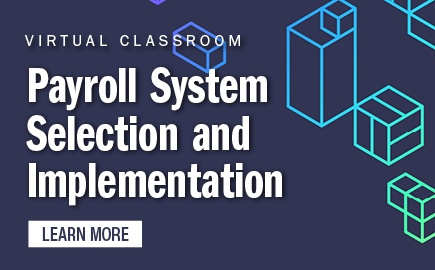 You will receive an Event Confirmation email on or after the "available on" date posted on the website for the webinar on demand you purchased that includes the link to access the webinar and login instructions from [email protected]. Please add this address to your safe list to ensure future deliverability. If you do not receive the email, it is possible it was filtered into your spam or junk mail filter or blocked by your server. To view of a copy of this email and others sent to you from APA within the last 90 days, please login to our website. Once logged in, click on your name at the top of the page to be taken to your "My Account" page. Select the Check My Email button to see your "My APA Emails." Scroll through your emails to find the event confirmation, which will have the title of the webinar in the subject line. I purchased a publication subscription, how do I access my purchase? Your subscription can be found by visiting the APA Bookshelf. The APA Bookshelf can be found by opening the Compliance tab and selecting the APA Bookshelf link from our website or visiting http://bookshelf.americanpayroll.org. We recommend that you bookmark this URL in your browser. You can either click "Log In" at the top or select a publication by hovering over its cover and selecting the hyperlinked title. You will be prompted to enter your APA ID or User Name and password to access your purchase. If you navigate to a publication that is not included in your subscription, you will receive a message telling you that you can gain instant access to the publication with a link to learn more and purchase online. How do I access the knowledge assessment calculator (KAC) I purchased? To access your KAC, please visit the KAC website and login using your ID and password.